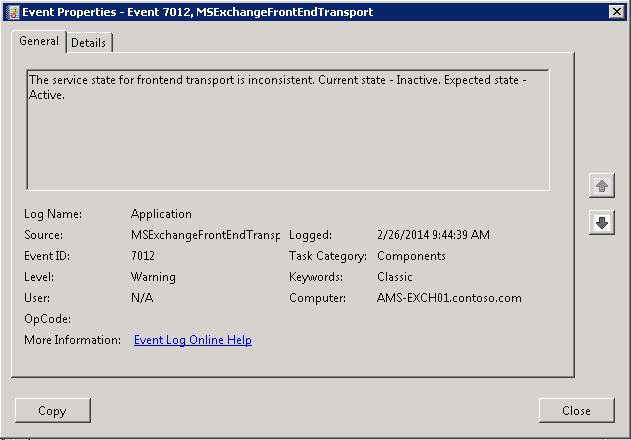 After installing Exchange 2013 Service Pack 1 you may notice that inbound e-mail is not accepted and attempts to connect to port 25 will result in a timeout. Exchange and The UC Architects fellow Paul Cunningham discovered the same issue and blogged about it here. This entry was posted in Exchange 2013 and tagged Exchange2013 by Michel de Rooij. Bookmark the permalink. Pingback: Dave Stork's IMHO : Exchange 2013 SP1 is out! And now?